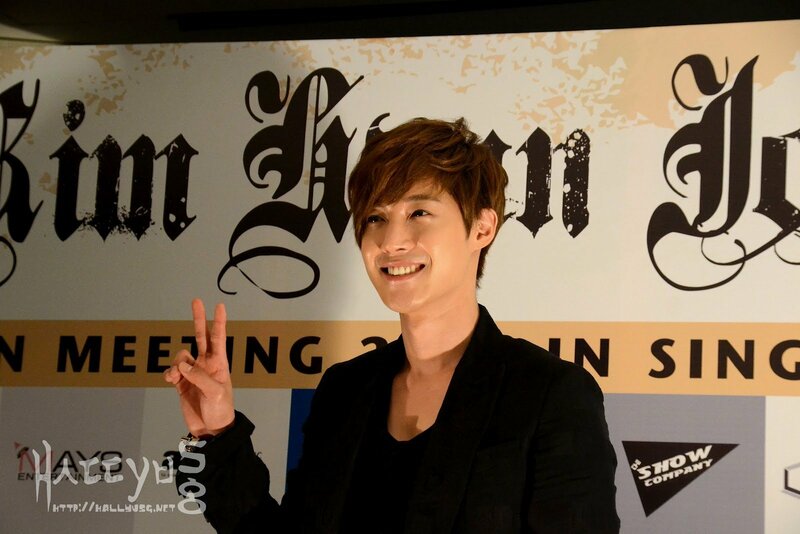 Having held a press conference in Singapore a day before, Kim Hyun Joong shares with the media on his thoughts regarding the upcoming fan meeting, his music influences, as well as collaboration with Japanese rock duo, B’Z. This trip to Singapore marked his third visit here and the star actor/singer revealed that one thing which always leaves an impression on his mind is the fans, as they never fail to give him a warm welcome whenever he visits Singapore. 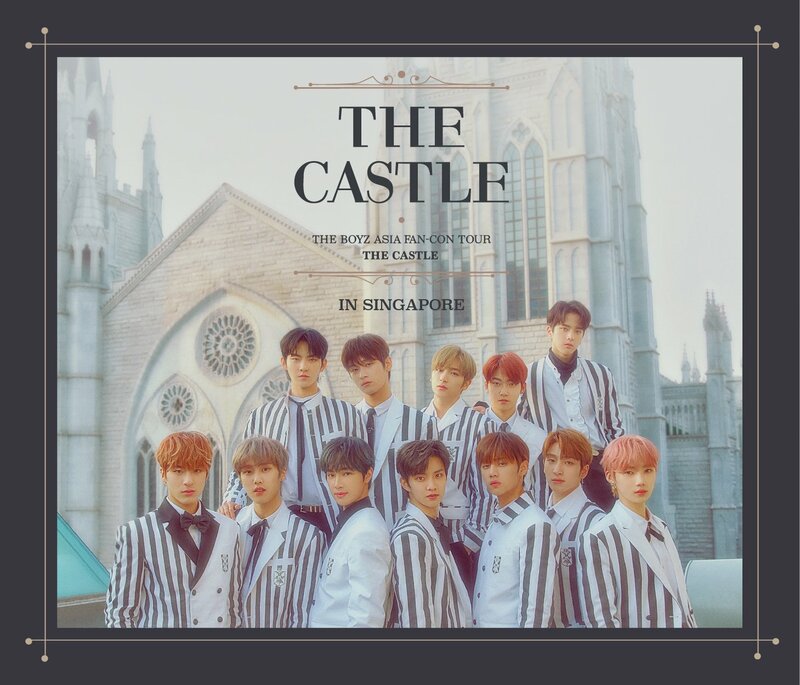 Amidst from his busy schedule this time, he also added that he will try his best to visit as many places as possible while he is here, especially well-known attractions such as the iconic Marina Bay Sands, Singapore Flyer, and the beautiful seaside. 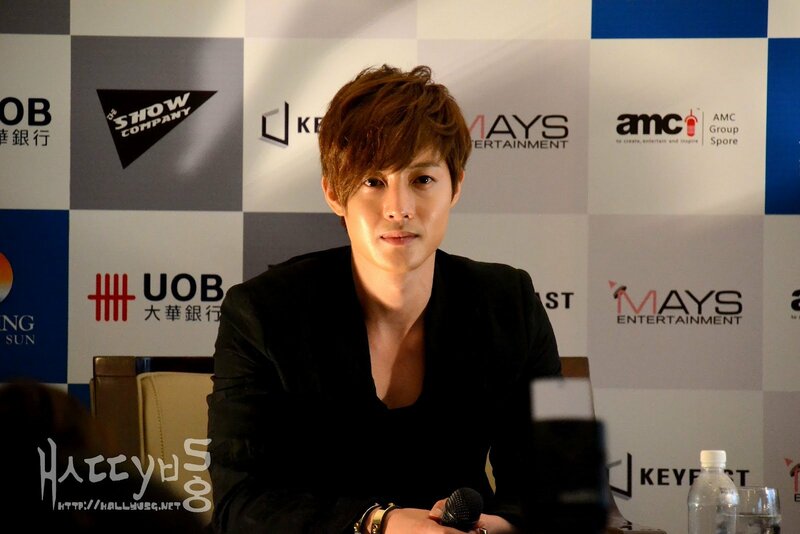 Singapore was chosen as the first destination according to the artist’s schedule, as he felt that it is one of the best places to kick start the Asia fan meeting. 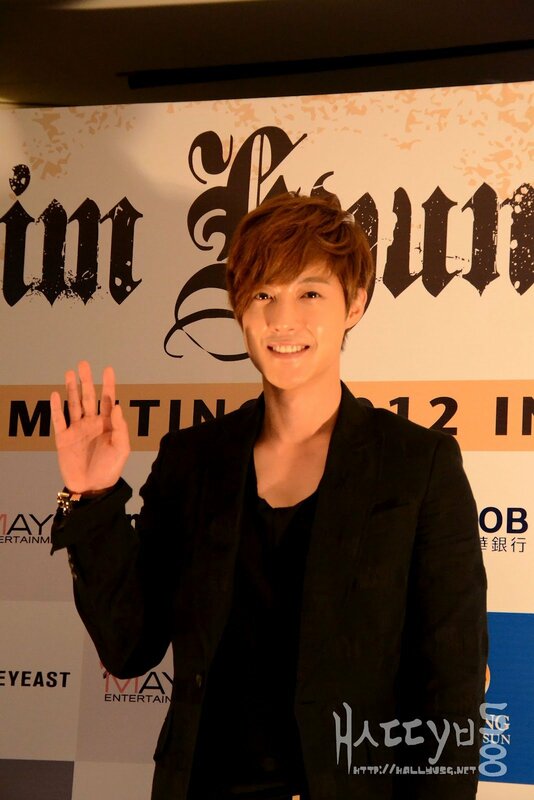 Aside from the performances, Hyun Joong is also prepared to high-five all 3,000 audience on that day. He decided to do this as he wanted to make sure that every single person who come to the fan meeting will enjoy themselves to the best of it, and he hope to meet everyone up-close and remember their faces as many as he can. Other than the fun elements from the fan meeting, the artist has also prepared gifts for his fans as well; everyone will receive a set of T-shirt and brooch of his own design, encompassing the U:ZOOSIN character. The brooch is specially prepared for the Asia fan meeting according to the concept. 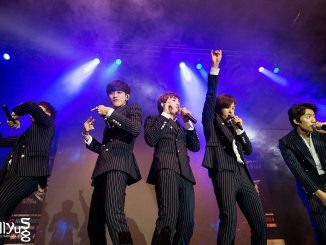 The reason behind this gesture is because he wanted them to take away something physical from the fan meet – something the fans will remember, that is. Isn’t he sweet and thoughtful? Q: Could you share with us some of your music influences? 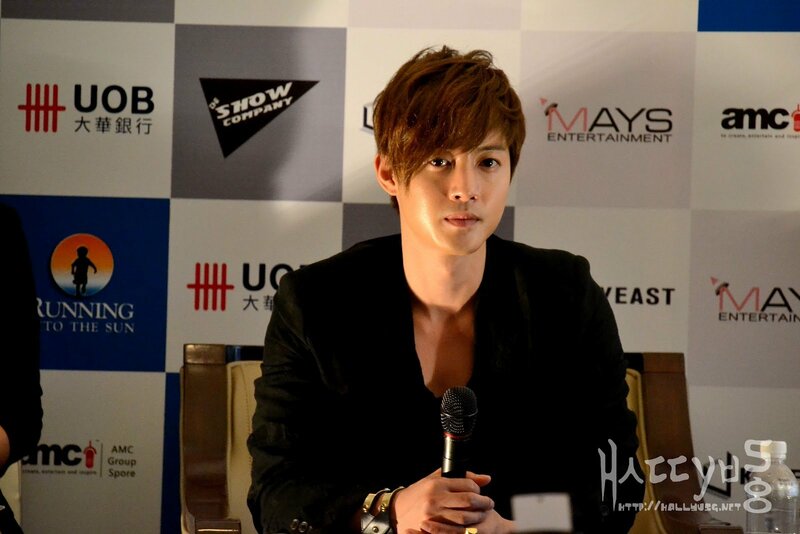 KHJ: There’s not really any typical or particular music that inspires me. Normally, I tend to follow the weather. For instance, in this kind of weather in Singapore, I would usually listen to ballads and slow music, not forgetting those from my own album as well. Q: What is one of your talent that most people don’t know about? 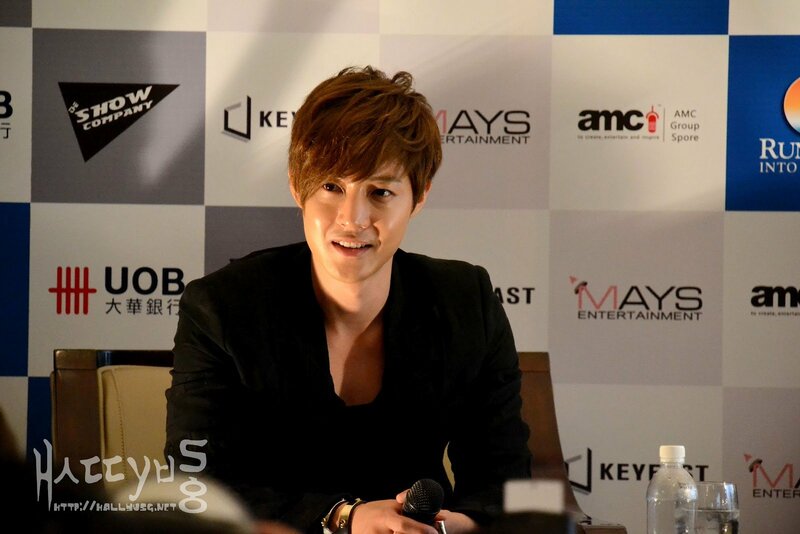 KHJ: In dramas, my character usually gives off a very cold and calm image, but on the contrary I am actually very playful, lively and humorous in real life. During the fan meeting on Friday, fans will be treated to a video where they can see a different side of me (being more playful) that they’ve not seen before. 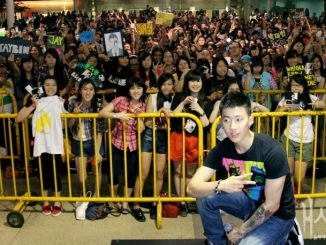 Q: You’ll be setting a record for being the first artist to high-five 3,000 audience in Singapore on Friday. If you could choose to break any record in the world, what would it be and why? 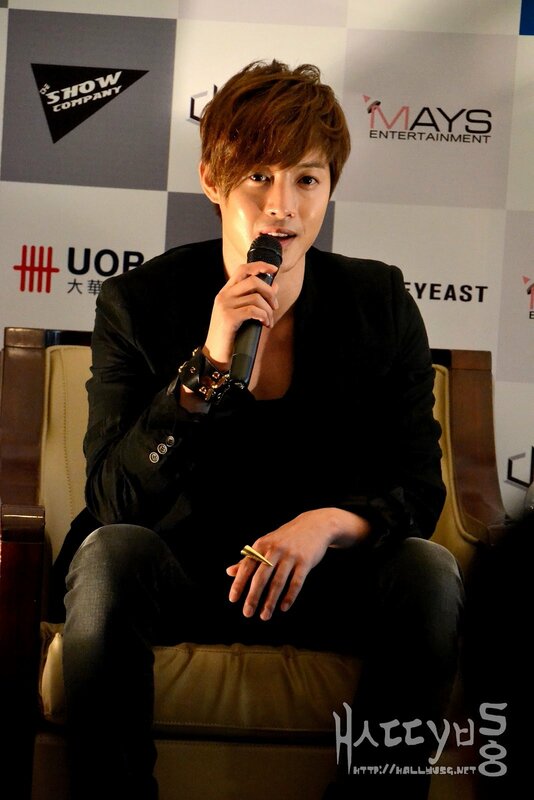 KHJ: If I could set a world record, that would be a singer who holds a concert with the most number of fans. Q: In the future when you have children, would you encourage them to choose the same career path as you are in right now? 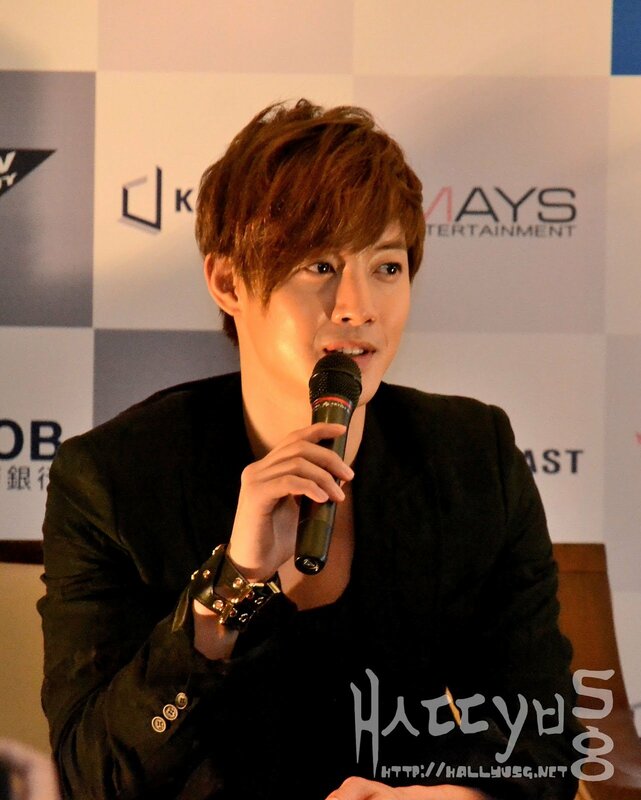 KHJ: I won’t be forcing any particular career path for my children, as I want them to do what they really want to pursue in life. As long as it is not something bad or something that may affect others in any negative way, I will definitely give them my full support. Q: Regarding your upcoming single ‘HEAT’, what do you think of the collaboration with Japanese rock duo, B’Z? Any future plans? 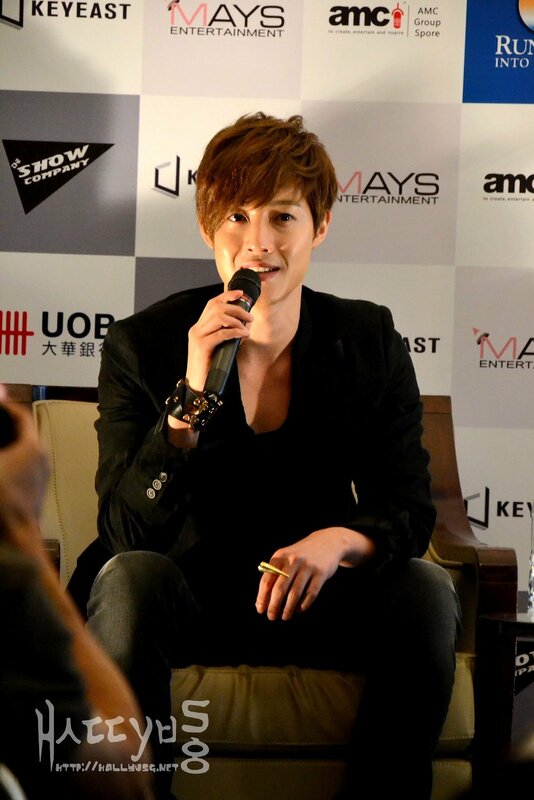 KHJ: I always admire B’Z and like their music, so it feels really great to be able to collaborate with them. I feel that being active in other areas is equally important, as it’s something that I have to do as a singer/celebrity so as not to disappoint my fans. I’m planning to release another album next year, which is already in the preparation process. In order to become a better musician, I’m preparing it early so that I can have ample time and put in enough effort over this period of time. Q: Is there anyone whom you would like to collaborate with in your new album? 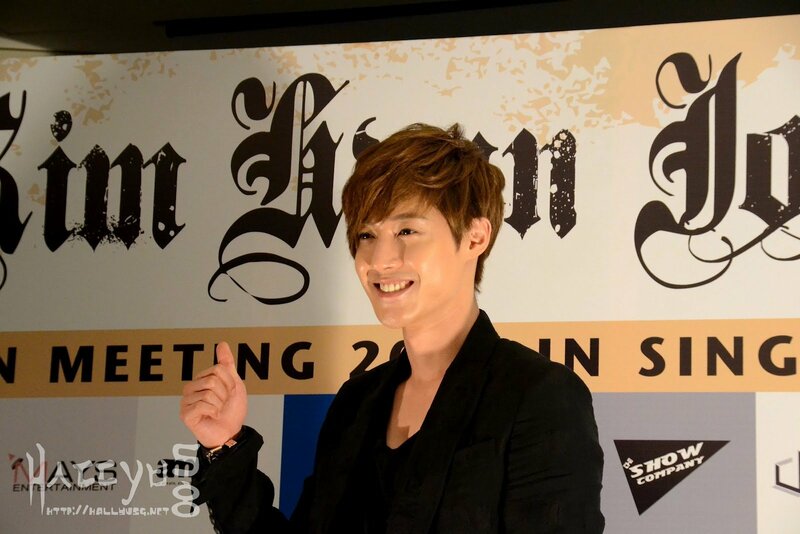 KHJ: There is no particular person in mind yet, but I’ll definitely give a thought about it after the single with B’Z is released, which is slated to be out in music stores in July this year. I will also be working on a new drama after the Asia fan meeting. There are no further details yet, but when it’s firmed up, I’ll be releasing the news to everyone. At the moment, I’m still working hard to broaden my scope of work, be it music or acting. I hope that everyone will remain passionate about my music and work, please do look forward to it. 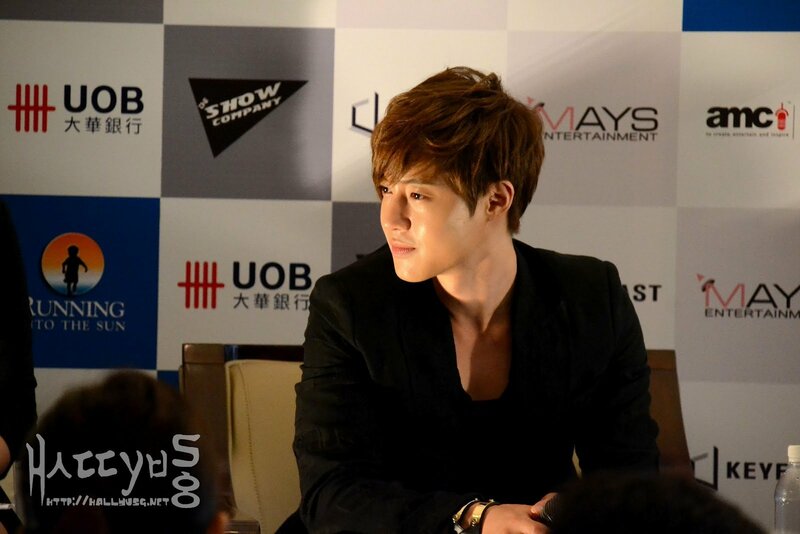 Q: Lastly, do you have anything to say to your fans in Singapore? 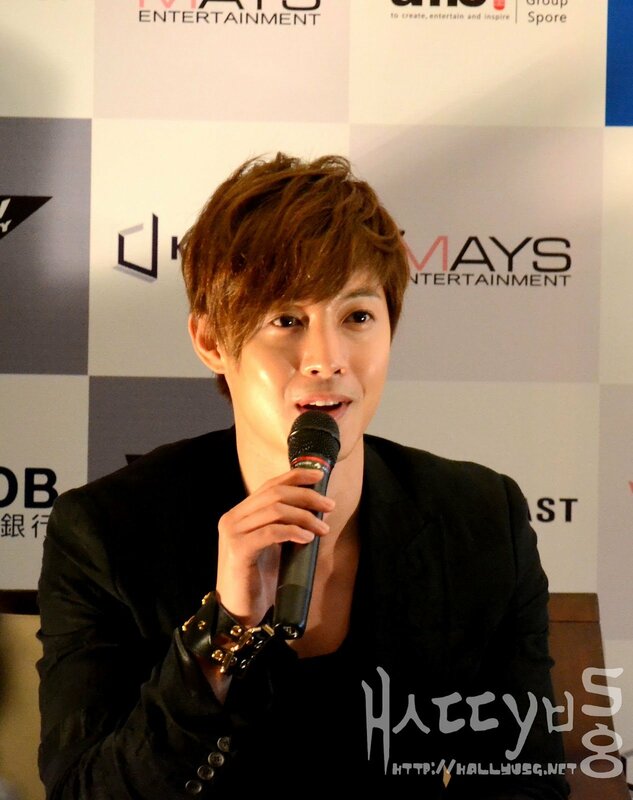 KHJ: Without all the support from my Singapore fans, I don’t think I am able to come here as often and the fan meeting would definitely not be able to happen here. I really appreciate the constant support from the fans here, so in return, I’ve worked really hard to put up the best performances for them. I am looking forward to meet my fans there and hope that everyone will enjoy the fan meeting on Friday. With that, the press conference came to an end after a photo-call. 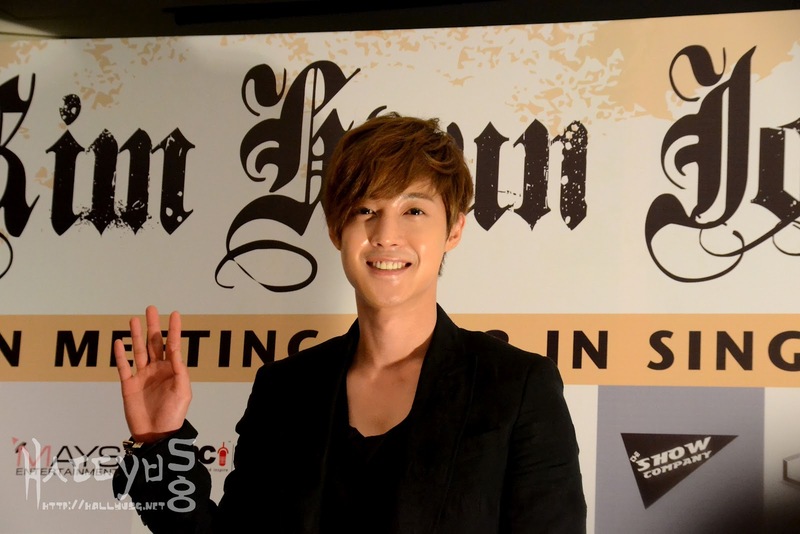 Special thanks to Running Into The Sun for extending the invitation to cover Kim Hyun Joong press conference in Singapore.